Several small bridges connect the grassy area of Rockport Beach to the actual beach itself. 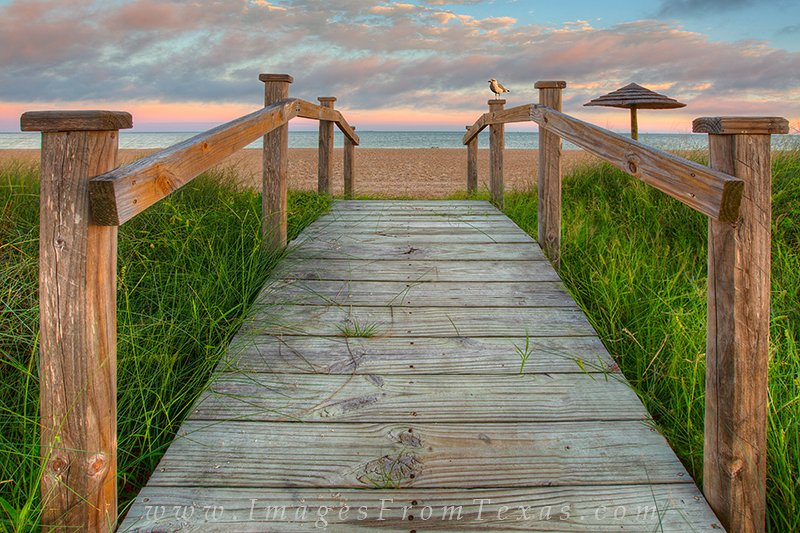 This view shows the steps leading to the golden sand, complete with your official greeter, a local seagull! Photo © copyright by Rob Greebon.